The US mainstream media (MSM) is deliberately hushing up information related to Ukraine's alleged interference in last year's US presidential elections; this characterizes the US media's double standards, given its perennial efforts to point the finger at Russia, according to Israeli political commentator Avigdor Eskin. In an op-ed for RIA Novosti, Israeli Middle East analyst Avigdor Eskin specifically focused on reports about Ukraine's alleged interference in the US presidential elections in 2016. In January 2017, Politico published an article claiming that senior Ukrainian government officials had meddled in the US election, in particular by seeking to implicate Donald Trump' aide in a corruption scheme. According to the report, Ukrainian President Petro Poroshenko signed a $50,000-a-month contract with a Republican lobbying firm to assist in setting up meetings with government officials in an effort to "strengthen US-Ukrainian relations." — Russia in Canada (@RussianEmbassyC) 14 июля 2017 г.
Eskin, for his part, recalled that on Tuesday, White House deputy press secretary Sarah Huckabee Sanders claimed that Ukrainian authorities had directly interfered in the American election campaign. 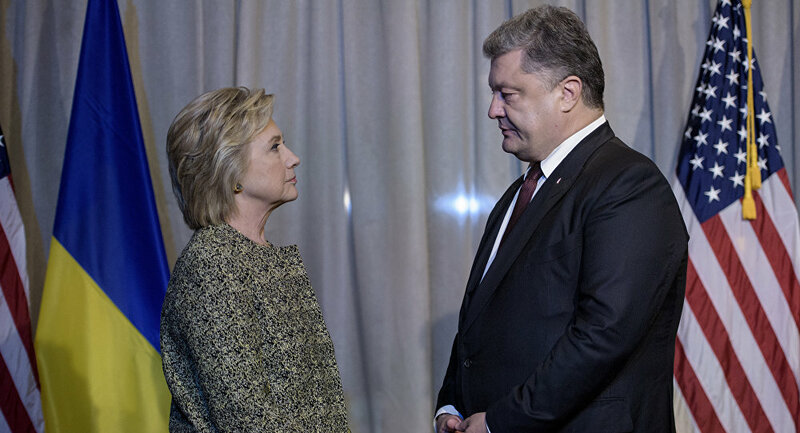 She pointed to the "real collusion" between the National Committee of the Democratic National Committee and the Ukrainian Embassy during the elections. "Why is the mainstream media keeping mum on this? Why do editors of news agencies wrinkle their noses, postponing the news about the Ukrainian government's interference in the US election campaign? It is a question of deliberate suppression of information, which was supposed to shake the whole world," Eskin said. He added that "judging by the latest publications, we are not talking about mysterious hackers, whose connection with the Russian government has not been proven by anyone," but about "the staff of the Ukrainian Embassy unlawfully assisting the Democratic National Committee." Eskin also said that "for the time being, we, of course, are only talking about suspicions rather than proven crimes." "However, when suspicions pertain to Donald Trump's mythical connections with Russian aliens from Venus, all American and Western media publish brilliant updates of this news on a daily basis. Strangely, the news about the Ukrainian envoys' alleged interference [in US elections] never grabbed the headlines. Can it be called double standards?" he pointed out. In his opinion, by focusing on gossip related to Russian hackers, the US press deliberately silenced what he said is actually sensational information. — Malinka (@Malinka1102) 20 июня 2017 г. "The activity of embassy employees which was authorized by the Ukrainian government and which was aimed at gathering information to tarnish one of the [US presidential] candidates is in fact a reason for an international scandal," Eskin said. 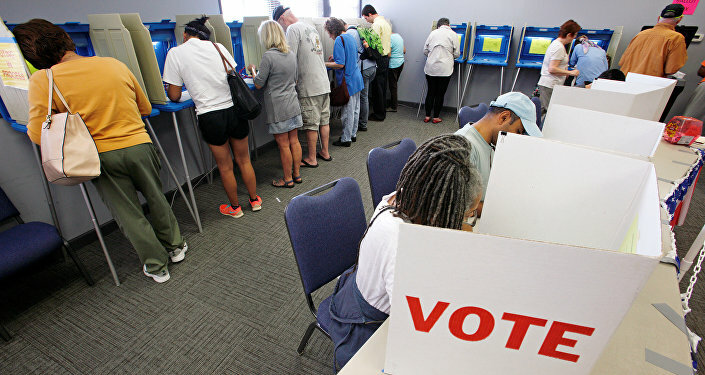 According to him, "if we reject the rhetoric of double standards, we will have to admit that large international corporations and governments of different countries often try to meddle in the pre-election processes of relevant countries, something that they see as the promotion of their own interests." — David Filipov (@davidfilipov) 8 июля 2017 г. "First and foremost, such activity is related to Western countries and the United States. We have already written about how the US State Department used Soros' non-profit organization to sponsor subversive activities in Israel aimed against [Prime Minister] Benjamin Netanyahu during the election campaign in 2015," Eskin concluded. Russia has consistently denied all allegations that there was any state sponsored interference in the US presidential election last year, a suspicion that is still the subject of many official investigations, few of which have turned up much public, concrete evidence. The Russian President's press secretary Dmitry Peskov, for his part, also refuted any allegations about Russia's alleged involvement in US election process and said that Russia did not cooperate with US President Donald Trump's staff during the election campaign.